Pictured are several parking meters located in the City of Delaware’s East William Street parking lot. Beginning in April, downtown patrons will be able to feed all parking meters with either change or by using their credit/debit card via the Passport Parking app. Parking in and around Delaware’s downtown district can be quite the hassle. Often times it involves feeding a meter with change, which fewer people have readily available today. However, beginning in April, residents and visitors coming to downtown Delaware will have a new option at their disposal to pay for parking. Through the Passport Parking application, downtown patrons can use a debit or credit card to pay for initial time or extend that time at a meter. Should patrons be issued a parking citation for an expired meter, they will also have the option of instantly paying the citation through the app rather than in person or through the mail. The downtown district has 1,531 public parking spots, 564 of which are metered spaces. Every meter will have the option of users paying through Passport. The app is free to download, but a 10 cent convenience fee will be added to each transaction. In addition to the app, users can access Passport services through their web browser or by calling the company. To start a session, users need only put in the zone number located on the meter. A countdown for the time allotted will begin on the phone, and reminders for existing parking sessions can be adjusted according to the user’s preference. Meters will not change in accordance with the session starting on a user’s phone. However, parking enforcers will see the session on their devices. Officers have been issued Android phones they will use to enforce parking laws. Officers have been using the system to issue tickets since early March, allowing them quality practice time ahead of the implementing of Passport. Among other features in the app, users can store their card information in their digital wallet through the app, allowing for a transaction at the meter to take a matter of seconds. To help the city get acclimated to the new service downtown, city staff has contacted business owners in the area to ensure they are familiar with the changes and the app itself so they may pass that information along to their visitors. Business owners will also be able to pay for full or partial meter fees when hosting events. A parking study was conducted in 2016 to assess parking downtown as the district continued to grow. Shafer said two options were possibilities, one of which was to add more parking spaces. However, with limited space available, adding spaces would be challenging. The second option, Shafer said, was to “manage the existing spaces we have more efficiently,” which offering the Passport service aims to do. 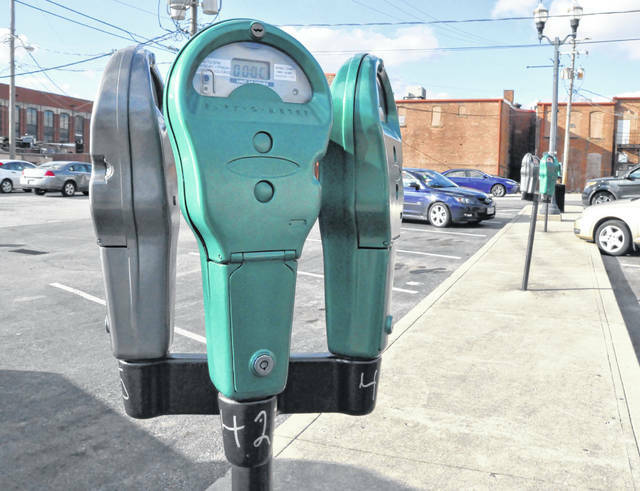 In addition to fewer people carrying change, Shafer said he heard often from residents about the inconvenience of having to add time to a meter. While providing a convenient service to downtown patrons, the use of Passport will also serve as a data point for the city moving forward. By analyzing how the meters are used, the city will be better suited to make decisions such as changing the hours on the meter or adding meters. Shafer said Passport will provide flexibility to the city by allowing for three-hour spaces to perhaps be changed to four or five-hour spaces simply by making that change in the system. Of course, any conversation involving the downtown parking issue begins and ends with the potential for a parking garage to be constructed. Last November, the Delaware Historic Preservation Commission considered a proposal by Fairfield Inn and Suites by Marriott to construct a five-story, 104-room hotel on the northeast corner of East Winter and North Union streets. With the hotel would come a 300-car public parking garage, perhaps settling parking concerns in the downtown district for good. The city would own the garage, leasing a determined number of spots to the hotel. Shafer said cities such as Sandusky, Ohio, and Punta Gorda, Florida — places he frequents throughout the year — have a parking garage near their downtown areas that have alleviated any concerns surround parking. The proposed hotel — and accompanying garage — are still in the beginning stages with much to come before any decision is ultimately rendered.